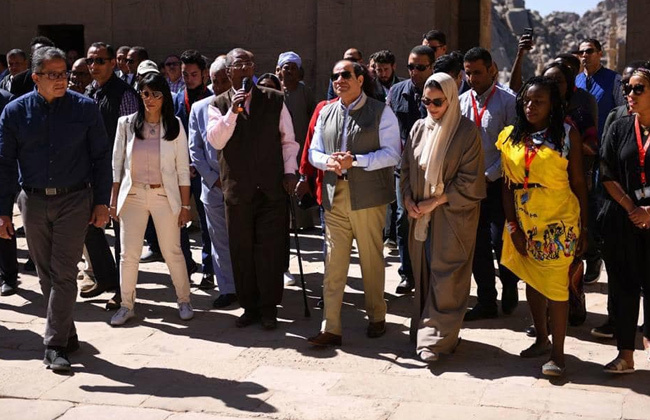 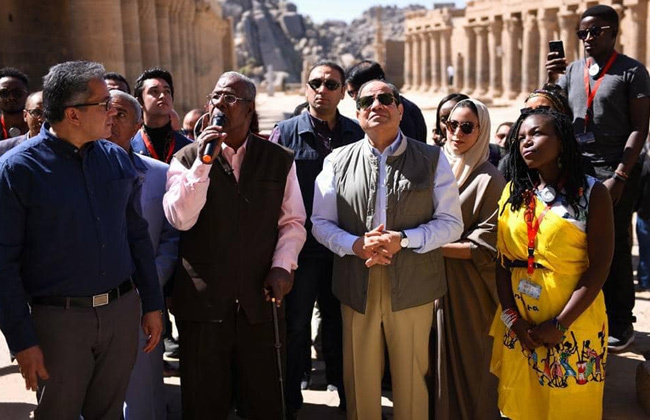 Egyptian President Abdel-Fattah El-Sisi toured Philae Temple in Upper Egypt's Aswan on Monday. 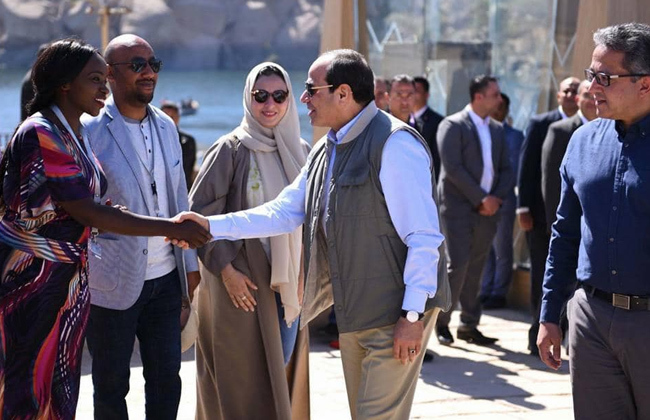 The president’s visit came during the third and final day of the Arab-African Youth Forum which took place in the city of Aswan. 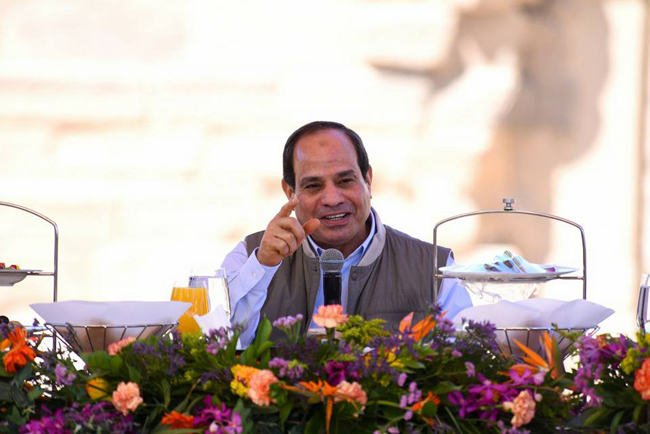 El-Sisi was accompanied by a number of Arab and African youth. 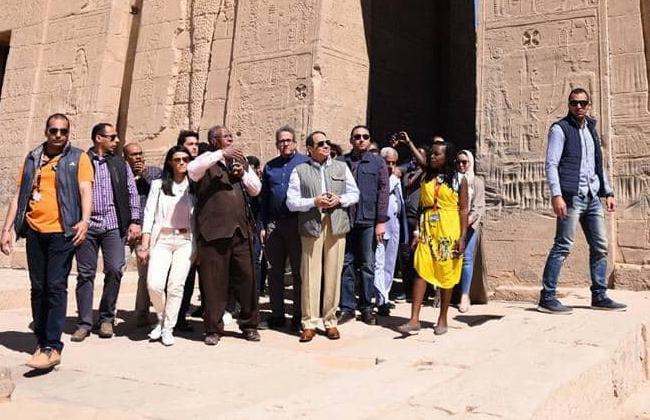 El-Sisi was also accompanied by Tourism Minister Rania Al-Mashat and Antiquities Minister Khaled El-Enany.